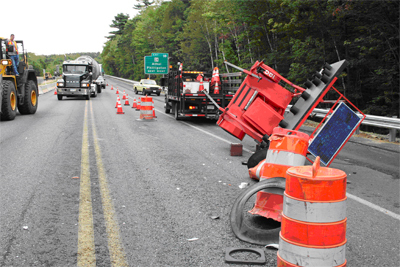 Some of the many factors that we evaluate include, the time available for the motorist to perceive, recognize, and react to a traffic control work zone, the existing lighting and weather conditions, vehicle speeds, the complexity and number of decisions presented to the motorist, the expectations of the motorist, the traffic control work zone appearance and conspicuity, the wide range of perception and reaction times of the motoring public, and changing conditions for the duration of the traffic control work zone project. 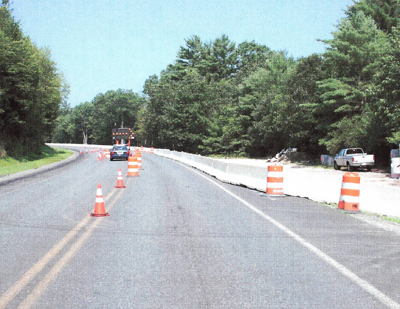 Shown below are examples of Temporary Traffic Control projects. 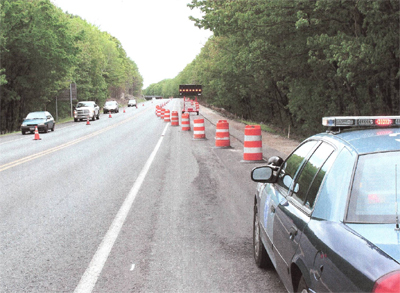 Arrowboard struck by a motorist in a temporary traffic control zone. 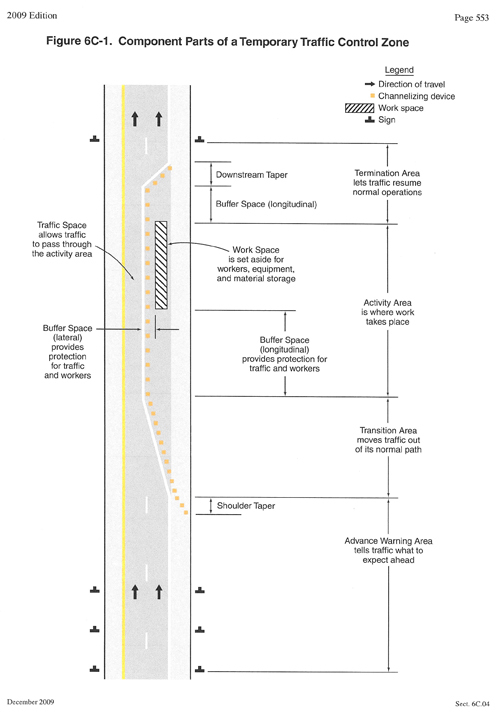 The above diagram is from the latest version of the Manual of Uniform Traffic Control Devices (2009 MUTCD).